Whatever the rôle of the person providing care or support to a person living with dementia, excellent communication is essential. The time wasted scrabbling around for essential information about a person for any ‘service’ with which that person ultimately encounters, whether that’s housing, the NHS, social services, education, leisure, or even the police, should ideally be kept to a minimum. One of the biggest problems with the ‘medical approach’ to dementia is that – unless you’re taking a professional psychiatric history – you can gloss over the finer details over the details of the events which contribute to how a person feels about his or her life. A person’s idea of self will almost certainly be affected by his or her past, ability to perceive the outside environment, an ability to assess the environment, and of course what that environment is (including the people within it). Unless relevant to the ‘diagnosis’ of one of the hundred or so types of dementia, it is perfectly possible for a medical doctor to gloss over such details, provided some targeted blood tests, brain scan, psychology or some cerebrospinal fluid confirm the diagnosis. And in fairness, the diagnosis is relevant to perhaps repeating the same investigations after a finite period of time, with medications of limited effect in the earliest stages. It is perfectly possible for a medical Doctor to impart next to no information about what to expect might be effects of the condition; or what to expect in people’s reactions. That Doctor can provide next to no information about to how to engage with the benefits system. Nor how to work with a local authority to get housing most suitable to his or her needs. Nor how the person can be somehow be given a chance to be educated about the condition. Nor about any activities, such as a local day club, which might be a happy, supportive social environment. The term ‘whole person care‘ has enormous scope to be extremely fluffy: in thinking about the person as a ‘whole’. But when you think about how a person living well with dementia might be able to have a positive outlook with the right care and support the narrative changes.Sure, there are negative perceptions of what dementia can be like, but in the early stages the outlook does not have to be so bleak, full of words such as ‘devestating’, ‘horrific’ and ‘suffering’. But there’ll be a stage in a person’s life with dementia where he and she can be through a whole person approach be living in a way which promotes independence and wellbeing. I envisage the health and wellbeing boards in the next parliament will be essential for this. Commissioning of services needs to be in the hands of people who know what they’re doing, and certainly it’s the current intention that existing structures will be requested to run the health service, including social care, in a Labour government. Local authorities I feel will be fundamental in ensuring right services are commissioned, including social care as part of the NHS, housing, education and leisure. But the country will need to ensure that knowledge sharing, with appropriate safeguards, is in the best interests of the person. Take two alternative scenarios for a person with moderate dementia, who is a 76 year-old, in a privately run nursing home. He has only recently gone to that nursing home, having been independent for several years following his diagnosis in 2008. This nursing home is ‘attached’ to a GP providing on-call medical cover. Recently, he has had recurrent episodes of urinary retention due to enlarged non-cancerous prostate gland. A member of the care staff notice him having very vivid nightmares, and very acutely confused on waking. The on-call GP is unable to catherise him, but diagnoses a full bladder. He is referred to his local A&E at 3 am. There are no medical notes transferred with him. The on-call A&E doctor does not catheterise him, but to beat the three hour target, admits him. There are no ‘care of the elderly’ beds available, so he ends up on an adult general surgery ward. This surgical ward has been in the local newspapers for being the most “unfriendly dementia friendly ward ever”. He is seen on the post-take ward round the following morning as an “outlier”, and then catherised with substantial urine drained. He is still noted to be confused. That night, he, on a ward with persons without dementia, becomes anti-social, and agitated. He then falls out of bed, and sustains a fractured neck of femur. He is referred to an orthogeriatric team in the hospital, who refuse to ‘accept’ the patient unless a full work-up for confusion is initiated. 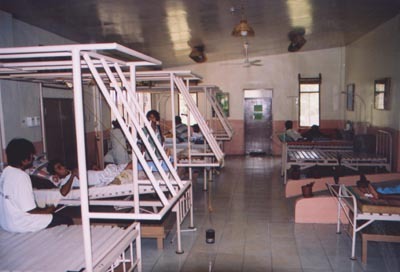 Various investigations are initiated, including a chest x-ray, urine culture and blood cultures. On day 3, the orthogeriatric team agree to accept him urgently, and he is no longer confused. He has a hip replacement, and spends two days in hospital recovering. On day 9, he is eventually discharged back to the nursing home, as the nursing home were not willing to accept him back. The information that he has recurrent episodes of urinary retention is made known through the electronic records system, and known to the on-call Medical Admissions doctor. The decision is taken for him to be catherised at the privately run nursing home, and their GP decides to start him on antibiotic treatment. His confusion resolves of its own accord within a matter of days. There are clearly many scenarios (sic) like this one, but there are various points I’d like to make. These points are how disorienting a change of environment can be for an unwell person with moderate dementia, how the medical situation easily became hyperbolic, and how a hospital admission caused his medical problems to become much worse. But it’s a world apart from he could have been looked after the first place. While ‘whole person care’ sounds quite fluffy for persons with dementia, it could be just what the Doctor ordered.